The ski area Flachau is a part of the Salzburger Sportwelt and is very well-known for it’s perfectly groomed and diverse pistes. The offers range from easy areas for beginners over a variety of red pistes to a permanent slope with time measurement. 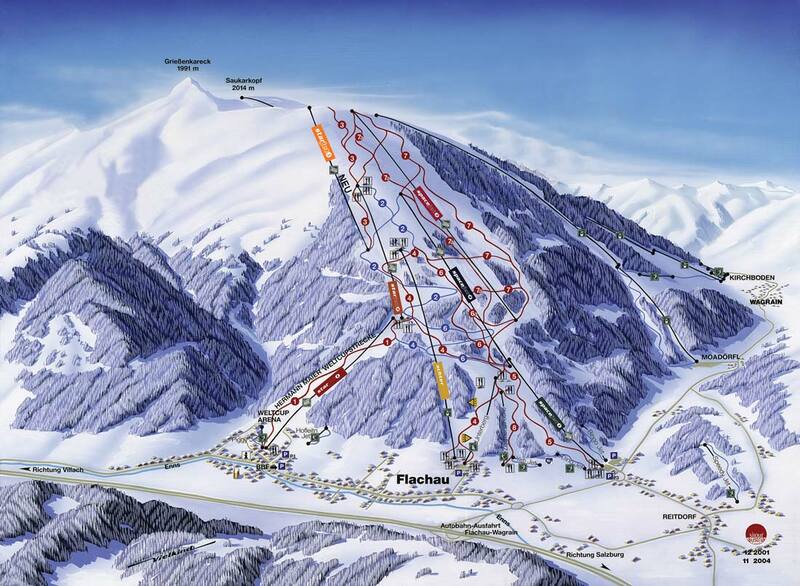 The ski area Flachau offers modern skyrides and is considered to be very family-friendly. Away from the pistes the guests may enjoy the various other offers in the region like events or après-ski. Airport Salzburg (SZG), Austria- 44 minutes appx. Airport Klagenfurt (KLU), Austria - 1 hours 28 minutes appx. Airport München/Munich (MUC), Germany - 2 hours 30 minutes appx. We've partnered with Ongosa, who recommend and book the best snowsports instructors and guides in Flachau for you. Hoagascht - serves Austrian, European, Asian, Vegetarian Friendly, Vegan Options, Gluten Free Options. So many amazing reviews. Schuster Hausl - At the Schusterhäusl they focus on steaks and Mediterranean delicacies. Everything is freshly prepared. The herbs are added just before serving and spread a wonderfully fresh scent, which activates the senses. Possruck In one of the most beautiful rooms in Flachau, feasting becomes a real treat. From regional and seasonal basic products, the dishes are refined. Selected Austrian wines and fruity cocktails from the bar make a visit to the Possruck unforgettable. Die Essgalerie- True to the motto "Wonderful & Honest", the guests are spoiled in the restaurant Die Essgalerie in Flachau with special delicacies. Check out all the restaraunts in Flachau by visting Flachau, indulge yourself. The après-ski in Flachau is vibrant and cozy. It starts on the slopes and ends in the early hours somewhere in the village. Flachau may not be Ischgl or Sölden, but it can go quite well in this cozy village in the Salzburger Sportwelt. Flachau does not have a very explicit audience either. Here families and groups of friends mix. The après-ski in Flachau naturally begins on the mountain. It all starts with a random tent on the slopes and ends in the valley. The absolute highlight is the Hofstadl , a cozy bar where every day at four o'clock the bell is sounded in the small bell tower to indicate that the après- ski can burst. Even after dinner there is still plenty to do in Flachau. The advantage is that most après-ski tents are swept empty, to change in restaurants, which gives you the opportunity to have a bite to eat. Do you want to go out in the evening? That is certainly possible in tents like the Fire & Ice , Musistadl and the Yeti Bar . Are you in the middle of planning your summer holiday? Then we've got a few cool tips how to turn your summer holiday in Flachau into a real adventure. Cool rafting tours, canyoning, climbing in the high-ropes garden or jump into the Zorb ball - one thing is certain - in Flachau - there's always a lot happening! Have you found the optimum event to give you that adrenaline rush yet? Don't worry! There are so many other top offers in Flachau which will get your heart pumping. But be careful with so many "adventure highlights" there's a real danger you'll become addicted! [short_description] => This chalet is ideal for families and/or friends looking for an attractive traditional chalet. 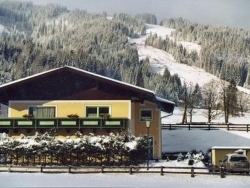 This chalet is ideal for families and/or friends looking for an attractive traditional chalet.